The acute pangs we feel in response to a longing for home are so innate in the human psyche that almost every language has a word for feeling homesick. Whether you are the one missing or someone you love is longing to be back there with you, much comfort can be found in a phone call, care package and pretty potted plant that will sit on the windowsill of a new place. Plants make any place feel a bit homier and as they are cared for and grow, they will be a constant reminder that it is possible to thrive in a new place. 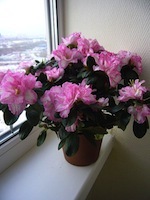 Here are three potted plants that help heal homesickness. It is hard to feel down while looking at daisies. 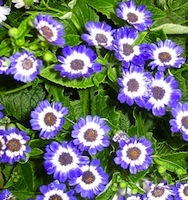 The florist’s cineraria is a small, round plant that is literally covered with tiny purple and white sunflower-like flowers. 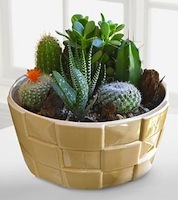 Available year-round at garden centers and florists, they are usually sold in 6-inch round pots that can be put in a room with even very low light where they will flower for a month or more. Delightful and pleasant to look at, these plants are said to represent the joy one feels in the presence of the receiver in the language of flowers and will let them know that they are missed, while reminding them that they, too, can flower in even the dimmest of places. In the language of flowers, all ferns are said to represent shelter and sincerity. While not a flowering plant, the frilly fronds of ferns are lush and primordial, reminding us that the passage of time in a human lifespan is but a blink and a nod to the life on this planet and that this time of separation and longing will also pass. There are many different ferns to choose from depending on the location, and most will do well in a room with a window. Try the easy Boston fern for brighter rooms, or the fuzzy and fascinating rabbit foot fern for something a little different. 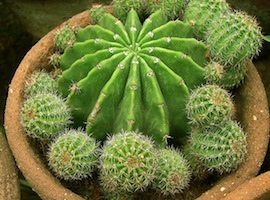 Prickly and unapproachable looking, a cactus is a surprisingly good companion. With more than 2,000 different kinds to choose from, it’s easy to turn this succulent plant into a collection. Short echinocactus or taller epiphyllum cactus all grow and bloom in bright, sunny windows and serve as companionable houseplants. In the language of flowers, they represent endurance and warmth, reminding us that life will exist in even the most inhospitable climates, and with the right adaptations, some things even grow to thrive there.